I’m turning 34 this year, and I’ve tried to kill myself five times. Joey Santos, DJ/producer and Assistant Managing Editor for Digital DJ Tips. I’m turning 34 this year, and I’ve tried to kill myself five times so far. The first time I was 12. The last time I was 16. My parents took me to a psychiatrist. He told my Dad I needed to get my mind off of things and that I needed a hobby. I had a friend who owned a pair of CDJs (the first ones ever by Pioneer) and turntables. I passed by his house a few weeks prior and randomly tried them — I suddenly loved the idea of playing music. My parents were really supportive: we got a budget Numark DJ set that evening. I haven’t slashed my wrists since. We’d throw mini raves in empty apartments. This was at our friend Matoy’s place in 1999. Yes, that’s what DJ CD players looked like back in the day. I still feel depressed once in a while, but I’ve never had any serious thoughts of suicide for the last 21 years. What changed? I started to believe that I had a purpose: Art is a bridge to the unfamiliar, and music is a connector. I want to positively connect with as many people as possible, and DJing lets me do that. It lets me tap into visceral human emotions: Courage. Nostalgia. Discomfort with the unfamiliar turning into comfort. The shared response of a group of strangers celebrating the same song. People ask me why I do it: why I play the kind of music I play, why I travel 301kms from one gig to the next, or why I work as a content creator for a DJ website. I do it because it’s how I share myself and communicate with an entire crowd of people I haven’t met without saying a single word. I review DJ gear and teach music production for a living. Go to Digital DJ Tips — we’re the world’s largest training site for DJs. You could argue that it was the people present, the drinks, or whatever. The bottomline is that music can directly affect people. You can directly affect people doing what you love to do. This is why I’m alive. I really think I’d be dead if I didn’t get into this. I already liked music when I was a kid, but DJing itself was just an accidental curiosity. I chose to follow it to see where it would take me. Feed your curiosities, no matter how unrelated to your education or career they are. Your curiosities might just save yours or someone else’s life. 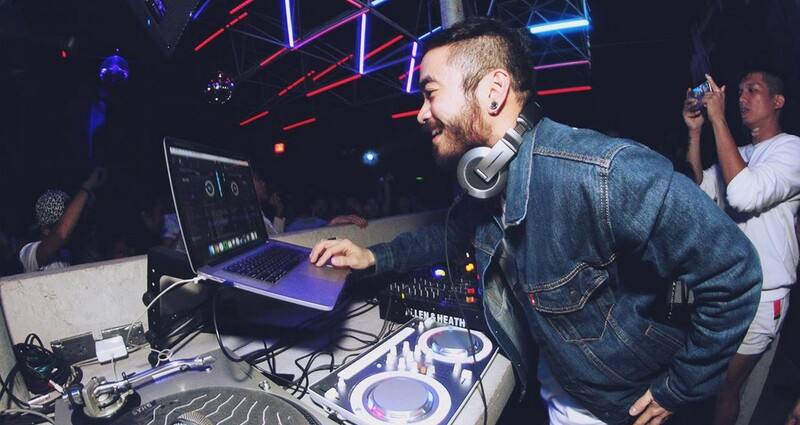 Joey Santos is the Managing Editor for Digital DJ Tips, the world's largest training site for digital DJs. It’s tragic that we don’t all write every day.